Fun guide to learning Bayesian statistics and probability through unusual and illustrative examples. Probability and statistics are increasingly important in a huge range of professions. But many people use data in ways they don't even understand, meaning they aren't getting the most from it. Bayesian Statistics the Fun Way will change that. This book will give you a complete understanding of Bayesian statistics through simple explanations and un-boring examples. Find out the probability of UFOs landing in your garden, how likely Han Solo is to survive a flight through an asteroid shower, how to win an argument about conspiracy theories, and whether a burglary really was a burglary, to name a few examples. By using these off-the-beaten-track examples, the author actually makes learning statistics fun. And you'll learn real skills, like how to: - How to measure your own level of uncertainty in a conclusion or belief - Calculate Bayes theorem and understand what it's useful for - Find the posterior, likelihood, and prior to check the accuracy of your conclusions - Calculate distributions to see the range of your data - Compare hypotheses and draw reliable conclusions from them Next time you find yourself with a sheaf of survey results and no idea what to do with them, turn to Bayesian Statistics the Fun Way to get the most value from your data. 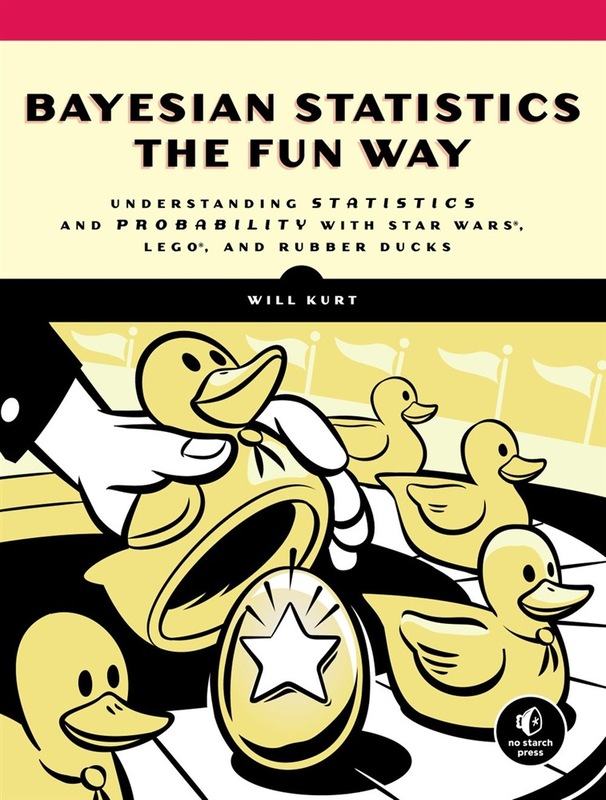 Acquista Bayesian Statistics the Fun Way in Epub: dopo aver letto l’ebook Bayesian Statistics the Fun Way di Will Kurt ti invitiamo a lasciarci una Recensione qui sotto: sarà utile agli utenti che non abbiano ancora letto questo libro e che vogliano avere delle opinioni altrui. L’opinione su di un libro è molto soggettiva e per questo leggere eventuali recensioni negative non ci dovrà frenare dall’acquisto, anzi dovrà spingerci ad acquistare il libro in fretta per poter dire la nostra ed eventualmente smentire quanto commentato da altri, contribuendo ad arricchire più possibile i commenti e dare sempre più spunti di confronto al pubblico online.